I'm trying to help this author reach her goal. Please click the link below to view the book and consider lending your support. Thank you! 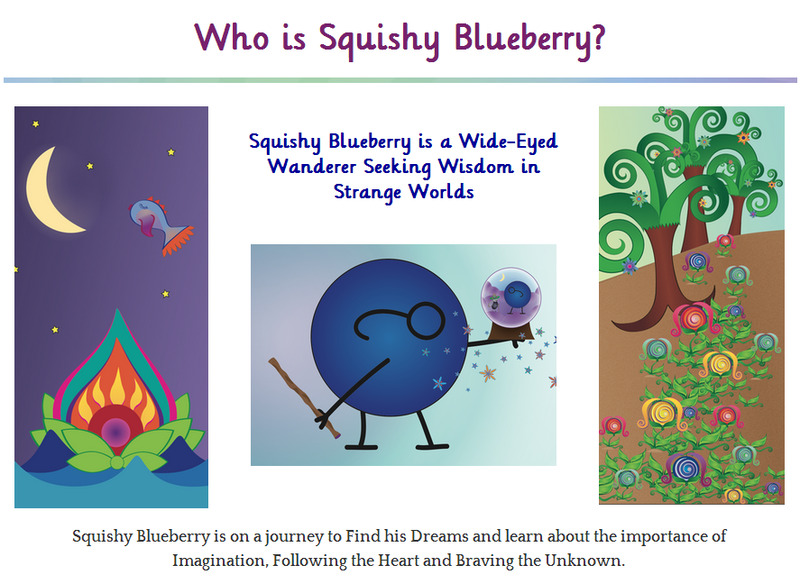 Squishy Blueberry is a Wide-Eyed Wanderer Seeking Wisdom in Strange Worlds. He is on a journey to Find his Dreams and learn about the importance of Imagination, Following the Heart and Braving the Unknown. Squishy encourages emotional intelligence in children through clever rhymes and beautiful illustrations! Squishy's second adventure "When You are Blue" just launched it's Pubslush Campaign on squishy.pubslush.com with wonderful perks for backers including a Squishy Plushy doll, book packages, and colorful prints for the bedroom wall!